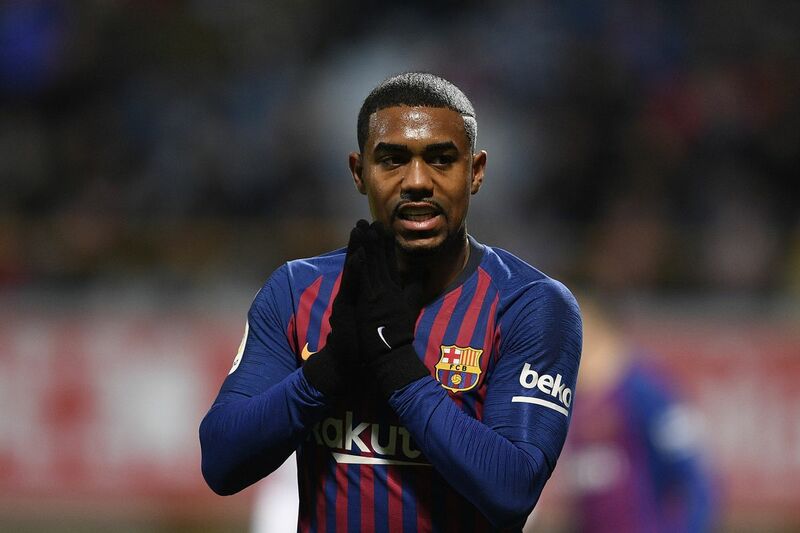 Malcom will be out of contention for 10 to 15 days after Barcelona confirmed he suffered an ankle problem in Wednesday’s Copa del Rey meeting with Cultural Leonesa. The Brazilian sustained a sprained right ankle in the 4-1 victory at Camp Nou, which secured a 5-1 aggregate success and a place in the last 16. Barca had used all three substitutes by that stage and were forced to see out the remaining minutes a man light. Malcom had netted his side’s third goal late in the first half, but is now certain to miss Saturday’s derby trip to Espanyol as well as Tuesday’s Champions League encounter at home to Tottenham. Barca are already assured progress as winners of Group B.